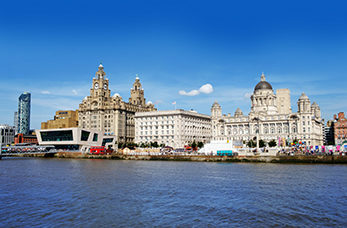 The city of Liverpool is predominately famous for being the home of the Beatles, one of the biggest pop groups of the 60's. It's an ideal destination for visitors to explore, it has a large collection of museums, galleries and its home to two of the finest neoclassical buildings in Europe. Opened in 1846, Albert Dock is a complex of dock buildings and warehouses designed by Jesse Hartley and Philip Hardwick. Today it's the place to play, to see, to eat and drink. Experience the incredible journey into the life and times of The Beatles, hear their story unfold through a 'Living History' audio guide. This 20th Century cathedral is the largest in the whole of the UK and the fifth largest in the world. The cathedral echoes the history of Liverpool since the turn of the century. The Walker Art Gallery has housed Liverpool's most outstanding art collection for more than 130 years including work by David Hockney, Lucian Freud and Bridget Riley.